A bit of etymology to start with: the Italian word lasagna, which first appeared in the 13th century, stems from the Greek lasana, meaning cooking tripod. The word was used to refer to the dishes used to make lasagne. Before it was used to refer to the whole meat, cheese and sauce dish, the modern word lasagne simply meant the sheets of pasta. There are countless varieties of lasagne such as green and spinach lasagne, along with many different ways of cooking the traditional dish. Chop the onions, crush the garlic, finely chop the carrot and celery. Cook the garlic and onion in a little olive oil. Add the carrot and celery, then the meat, and mix over the heat. Add the red wine and let it evaporate. Next add the tomatoes, water and herbs. Season with salt and pepper and simmer on a medium heat for 45 minutes. Melt the butter and take it off the heat. Add all the flour in one go. Put back on the heat and mix with a whisk until the mixture is smooth. Add the milk little by little. Mix continously until the mixture thickens. Season with the nutmeg, salt and pepper. Cook for a further 5 minutes on a very low heat, stirring constantly. Grease an oven dish. Place a thin layer of bechamel then layer the lasagne, bolognaise, bechamel and parmesan 3 times. After the last layer of lasagne, top with the sauce only and sprinkle grated cheese and a few knobs of butter on top. Cook at 200°C for around 25 minutes. 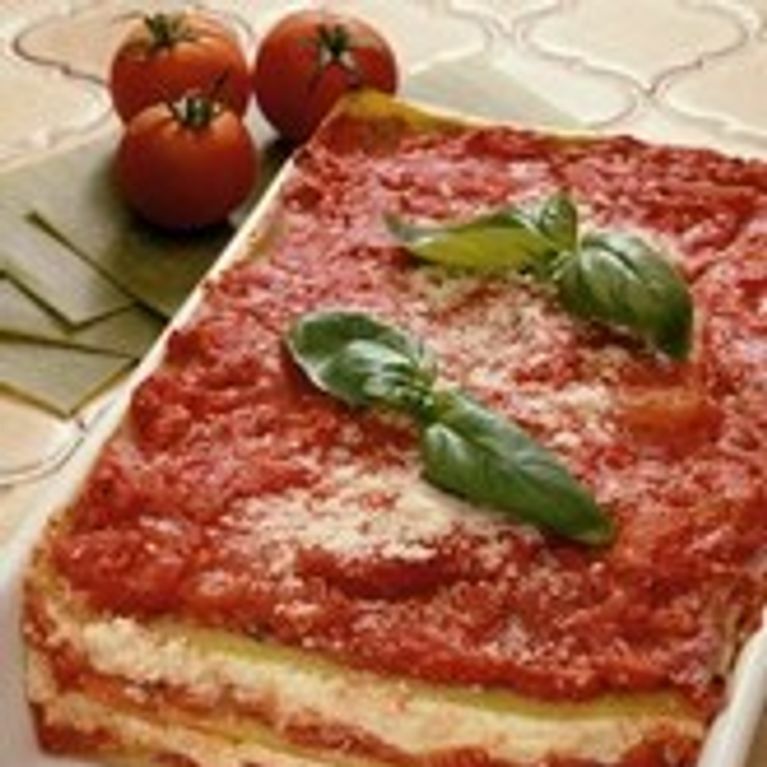 You can adapt traditional recipes using whatever ingredients you want to make healthier or more original lasagne.